Edited by sega_2017, 20 January 2019 - 06:32 PM. Объяснить почему вы не можете выключить и бомба вооружения на BF 110Е в выборе эксперта? 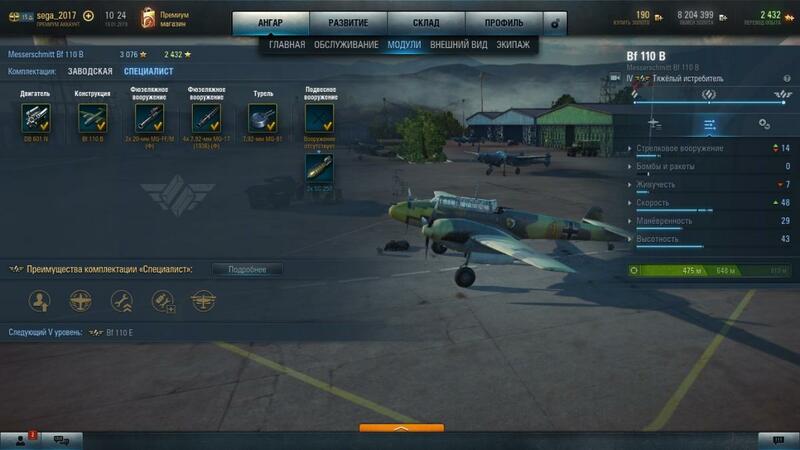 Explain why you can't turn off and bomb weapons on the BF 110E in expert selection? In the old EULA ToS this would be a No-No in posting in Russian. However I would understand it now if the mods looked the other way. You OP are just trying to get the most direct route for the information. Understandable. "Battle is the Great Redeemer. It is the fiery crucible in which true heroes are forged. The one place where all men truly share the same rank, regardless of what kind of parasitic scum they were going in." Explain why you can not turn off the weapons bomb on the BF 110E in the choice of an expert? Geen probleem, ik dacht dat het hier enkel in het engels te doen was. Ik zal vanaf nu ook in mijn eigen taal posten. Edited by sega_2017, 20 January 2019 - 05:45 PM. Firstly, the official language of this forum is English. Using other languages is allowed in special forum sections only. Secondly, it is not a bug but Specialist configuration peculiarity. The possibility of expanding Specialist configuration modules was discussed and there's a desire to give players more freedom of choice in their aircraft's customization but I cannot give you any estimated time considering the implementation of this design. Thanks for the clarification. Once again I want to say that I made a mistake when entering, please Sorry). But I would like to note that there is an opportunity in the configuration of a specialist to turn off bomb weapons on Bf110B, whereas there is none on Bf110E. Or is it a feature only BF 110E? Edited by sega_2017, 21 January 2019 - 11:58 AM. It's strange that you can not choose between outboard weapons or no outboard weapons at all. On other planes (mostly multiroles and heavies) I can not choose which type of weapons (for instance rockets or bombs) anymore, you only get the 'top' weapons, but I think that I can always choose no weapons ... I'll have a look later.